In complete contrast to last week’s roundup of ancient whiskies, this week Dave Broom turns his attention to some of the youngest drams new to shelves. 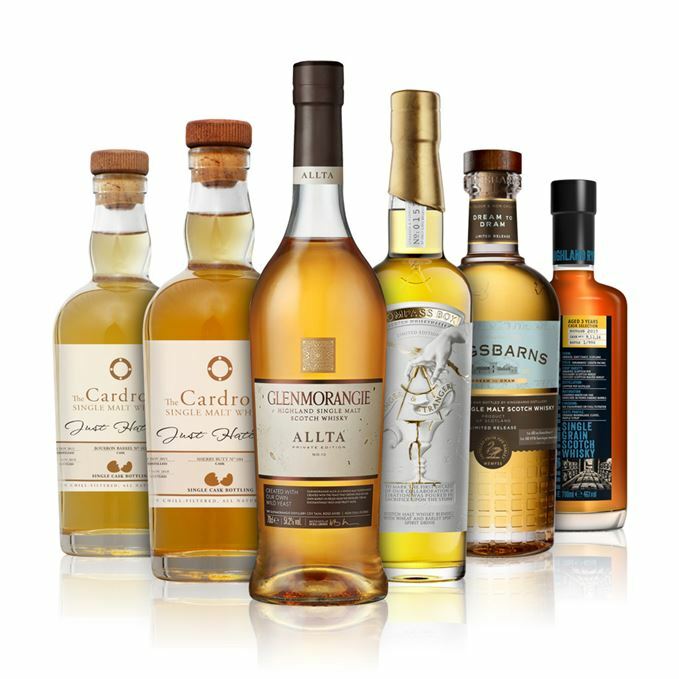 If there is a theme, it is new developments, be they from distilleries (Kingsbarns, Arbikie and New Zealand’s Cardrona) launching their first whiskies; to production, with Glenmorangie’s use of its own yeast strain for Allta. 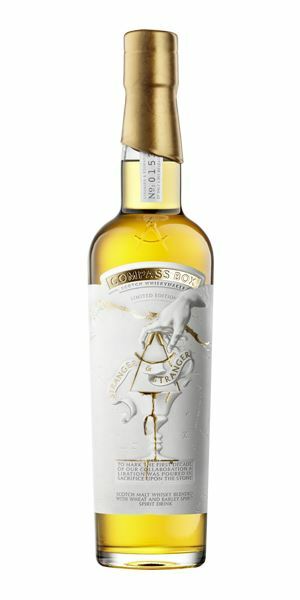 There’s even developments in challenging blending convention, with Compass Box’s use of one-year-old spirit on its latest bottling. ‘These are all important whiskies,’ Broom says, ‘statements of intent, which are opening up new areas. 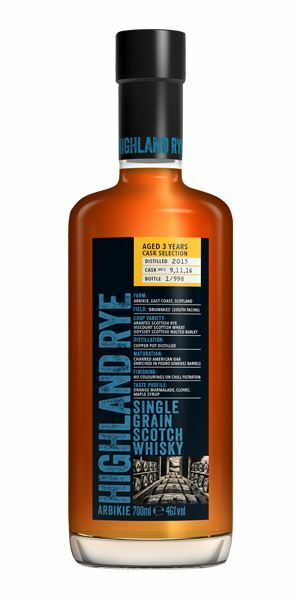 It’s a punchy start, with a spicy rye whisky from Highland distillery Arbikie. With a nose of ‘fresh citrus zest’ and finish of ‘crackling spices’, it’s a ‘wee belter’ that shakes things up. New Zealand whisky newcomer Cardrona features in the next two tastings, the first aged in ex-Bourbon barrels and the second in ex-Sherry butts. 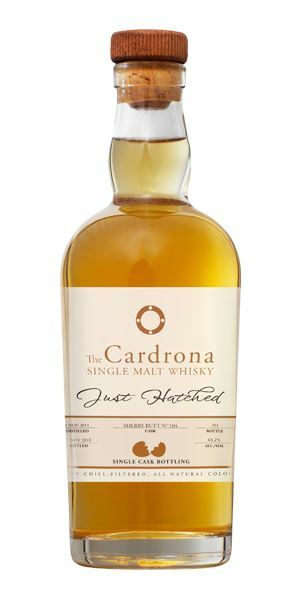 Despite only ‘just hatching’, Broom finds they are a welcome addition to the whisky world. Compass Box is up to its boundary-pushing ways again with its Stranger & Stranger spirit drink. While the addition of 1% one-year-old Girvan grain technically means it cannot be legally defined as a whisky, Broom finds it has a freshness that showcases ‘what blending is all about’. 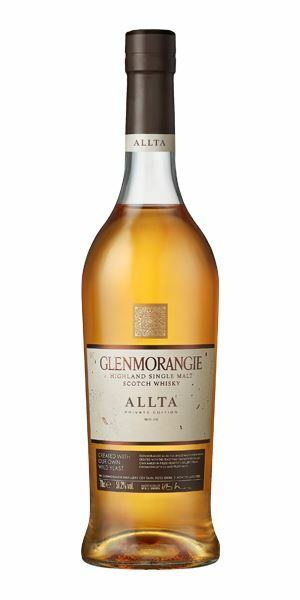 Glenmorangie’s 10th expression in its Private Edition series, Allta, pushes development in flavour creation through the use of a strain of local yeast found growing among its own barley fields. 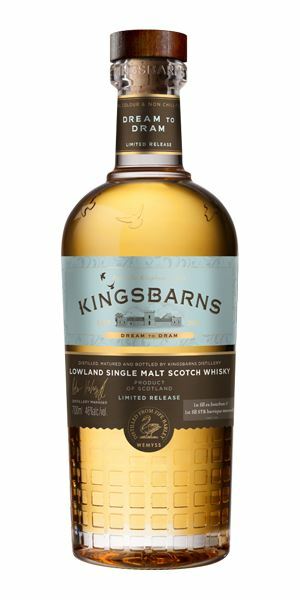 To wrap up this week’s tastings is Kingsbarns’ first official whisky, Dream to Dram. With a persistent sweetness that is balanced by a peppery heat finish, Dream to Dram shows ‘huge potential’ for the Fife distillery. Mixing psych, folk, and the two genres together, the songs in this week’s playful and upbeat playlist reflect the sweet and lively young whiskies in the selection. Click the links in Right Place, Right Time. An instantaneous blast of fresh turmeric, allspice (and a touch of clove) backed up by green apple, then fresh citrus zest. There’s no doubt that this is rye. In time, you get a hint of acetone, rye flour and a herbal sweetness a little like green Chartreuse. Shows its youth when water is added, but I like that punch in a rye. Things remain spicy, with some sweet oak tones. It’s actually much softer than you’d expect, with baked fruits and this almost smoky build-up of spice (cracked black pepper and star anise). Water makes it a little feisty, but there’s some added tart red fruit. Crackling spices and light acidity. Well, this is a wee belter which should shake things up (and indeed should be shaken up). Sugar & Spice at work. Very fresh and lightly grassy with light-green grape and cucumber, then lemon sherbet and floral honey. In time there’s some glimpses of almond oil and while it is clearly still young (and hot) there’s a lovely soft distillate at its core. With water added you can pick out more sugared almond, then lilac blossom and vanilla. There’s sweetness and some light fruit syrups, but also considerable heat – though what did you expect from a whisky at 66.7% abv? The palate seems thickly textured with soft fruits and though things are fairly taut at the moment there is clear potential. Nurse! The water! When it’s added and the mouth has cooled down you can pick out a tiny hint of cereal, a buttery creamy feel, some grapefruit freshness, Starburst-style juiciness and candy floss. It stands up to pretty heavy dilution without losing character. Though young and still coming together there’s a mid-palate weight which says that this is a distillery that’s set up for the long term. A hugely welcome and high-quality addition to the whisky world. There’s been a remarkable pick-up in colour already, while the aromas mix musky blue and dried fruit, toasted tea cake, the pepperiness of high alcohol, but also some oxidised wine notes, and walnut. This rich undertow calms down the heat, adding balance. With water you get some petrichor, cedar and the start of some funk. Remarkable. Rounded, with an oozing oiliness. As with the nose, the spirit kicks in about halfway, but there’s sufficient black and dried fruit to soften and balance, adding greater weight when compared to the Bourbon barrel. It already has the woolly, wet tweed notes of mature Sherry casks. Water shows a little more edginess, but there’s still this mid-palate softness on show. Slightly fizzy, long and quite powerful. When I visited Cardrona in the far south of New Zealand last year it was the Sherry and wine casks which showed the greatest promise. This is a really well-made whisky and better than some Sherried drams four times its age. Popping out of its Little Black Egg. Highly aromatic and gentle, with pear drops, banana peel, ripe melon and an orchard’s worth of apple-like aromas: green, cloudy juice, cider vinegar. Fresh, but there’s some Demerara sugar dissolving itself into the overall mix, giving an indication of depth. As the nose indicates, there’s plenty of fresh fruits at work here alongside whipped butter, cinnamon toast, then blackberry and strawberry before the ultra-fresh fruits return. There’s also a mature quality which adds a further dimension (especially length). Water makes it into a soothing long drink to be taken on a hot day. Just lovely. Melon and some vanilla pod. Adding 1% of one-year-old grain spirit (from Girvan) rendered this illegal as a whisky but did add this remarkable freshness. Madness? Defiance? Or is – as ever with Compass Box – just showing what blending is about? Sitting in the morning at Tom’s Diner. Fresh, and slightly bready with some green apricot and a herbal (dill, rosemary), almost grassy edge. More cereal-accented than you expect from Glenmo’ although there is still a perfumed backdrop (osmanthus, dried lemon peel) on top of dry earth. Steadily builds towards butterscotch and barley sugar. It needs time (and some water) to grow and show those fruits, proving bread, oatcake and macadamia. There’s the classic Glenmo’ silkiness, but there’s more spice and pizzazz, alongside red berry fruits, nutmeg and white pepper, this time given sweetness by agave syrup. Those atypical (and yeast-driven) bready notes are retained. Carries its strength well – a good indication of complexity and balance. Water brings out more orchard fruit, ginger juice and fresh barley. Toasted almond, spice, some Fox’s glacier mint and finally a return to the dry earth. Their own yeast, their own barley. This is not just a great whisky it is also a really important one. Driving north in late summer the Poppies are In The Field. Light, sweet, with an explosion of estery fruits: banana (foam bananas), pear and Dolly Mixtures. A smooth caramel pudding/flan aroma then starts to slide, though alongside traces of raspberry. In the background there’s a tiny hint of green malt and added intensity. In time, you get banana sandwiches on brown bread, and millionaire’s shortbread. When water’s added a yeasty element comes through alongside plum skin and hay field. A sweet start with light custard and more of the crunchy malt which, when combined with the raspberry note, gives an effect akin to cranachan. By the mid-palate you’re getting cut flowers and Haribo (the heart-shaped ones) and some heat, pretty much the only indication that there’s still some youthfulness to work its way out. That crema Catalana returns with water, along with slightly unripe blackberry. The peppery heat continues (even with dilution) before fruits return alongside some white chocolate. Maturation in 90% first-fill ex-Bourbon has given this a sweet sheen. Clearly a lovely distillate which shows huge potential. Please check it out. Batch 186 08/02/2019 Two blended malts – Compass Box Juveniles and a 43-year-old Speyside – bookend four indie bottlings.